Consumer trust is something that every business owner strives for because it is a surefire way to ensure their loyalty to your business. However, trust is not something that is easy to establish, and it can be lost in the blink of an eye. Customers need to believe three things about a company for them to fully trust it. They need to believe that: the company has their best interest in mind, the business can and will deliver its promises, and the business is honest and authentic. Many businesses worry too much about whether or not they have the customer’s trust. What they should be doing instead is focusing all their energy in delivering the best products and/or services possible. There is no better way to gain trust, than to put forth high quality goods and services that the consumer expects. Unfortunately, mistakes are made from time to time. The right thing to do, though, is not to conceal the errors, but own up to the mistakes. If you try to hide your mistakes, then that only gives consumers another reason to mistrust your business. Once you have the trust of the customers, you have to focus on maintaining that trust by continuing to deliver the best products and/or services you can. Don’t think that once you have their trust, that consumers will stay with trust you forever. 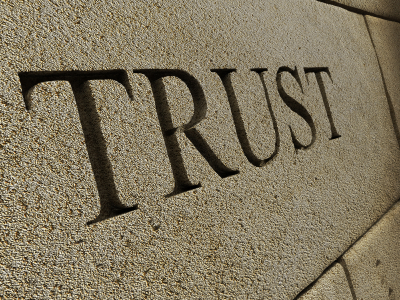 Trust needs to be maintained to keep the relationship between the consumers and the business strong. You can read more in the article on Entreprenuer.com.